Having done a little piece on the lovely Julia Foster a couple of posts ago, I came across this today in Photoplay magazine, issue dated August 1964. She was twenty-one then, and with several films to her credit, including the imminent One Way Pendulum, was their 'tip for stardom'. 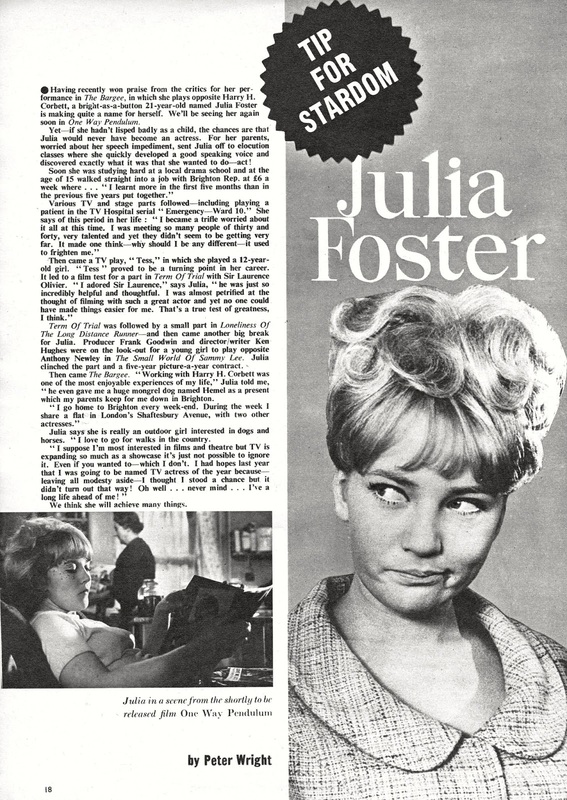 Working on films and TV throughout the 1960s/70s/80s, she is now in the antiques trade (and mother of TV presenter Ben Fogle). As she is seventy today, I guess that a 'happy birthday' is in order!